No more extraction or micro-creeping of your tool from now on – 100% guaranteed. The solution is as simple as it is ingenious. It is an integrated wedge that rests on the Weldon surface. The user can be certain that no costly damage to the workpiece occurs, even by overloading the system of milling machine, spindle, chuck and tool. 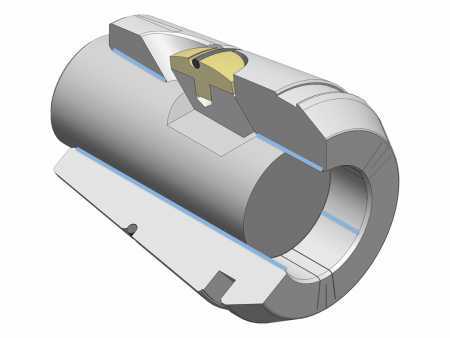 When clamping, the wedge always lies against the slope to the Weldon surface and thus creates positive locking without radially displacing the tool. 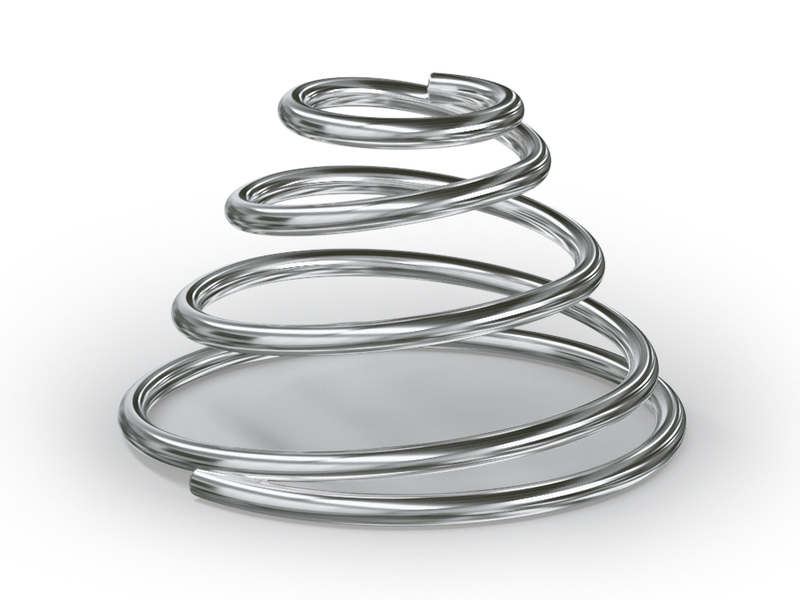 The tool shank is clamped extensively on three lines, making it perfectly centred and allowing for larger clamping forces to be generated. 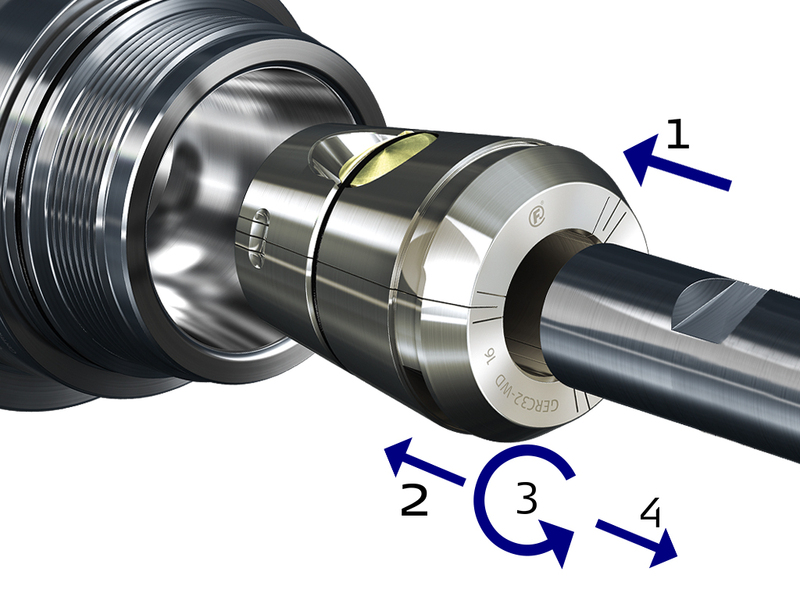 The three clamping lines on the tool (blue) centre the tool shank and generate impressive clamping forces as well as for optimum concentricity. For assembly, you only have to insert the tool (1) until the wedge locks into place. For disassembly, the tool is briefly inserted further (2), turned (3) and pulled out (4). The conical spring is locked in the receptor. It positions the tool on the wedge by itself. 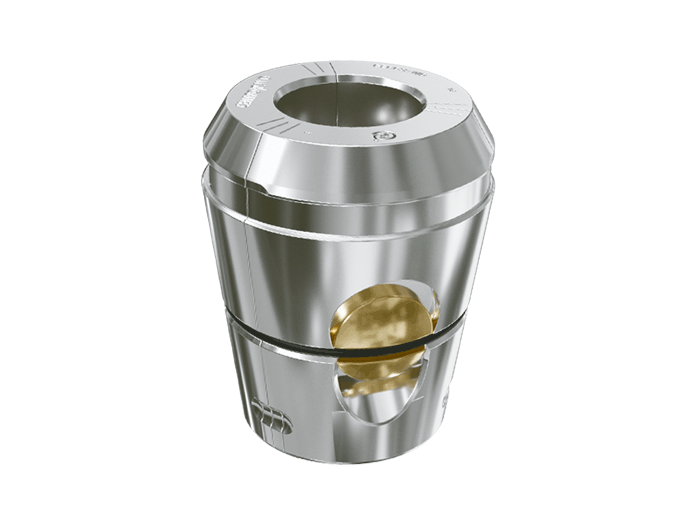 When using the Wedge Collet GERC-W together with the UPC Ultra Power Chuck, very good damping properties are achieved. 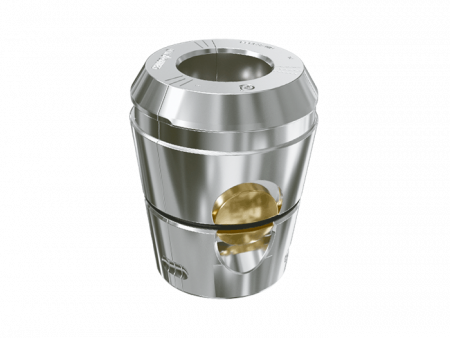 The additional damping successfully reduces vibration in the milling process and protects the spindle bearings, significantly increasing the availability of the milling machine. 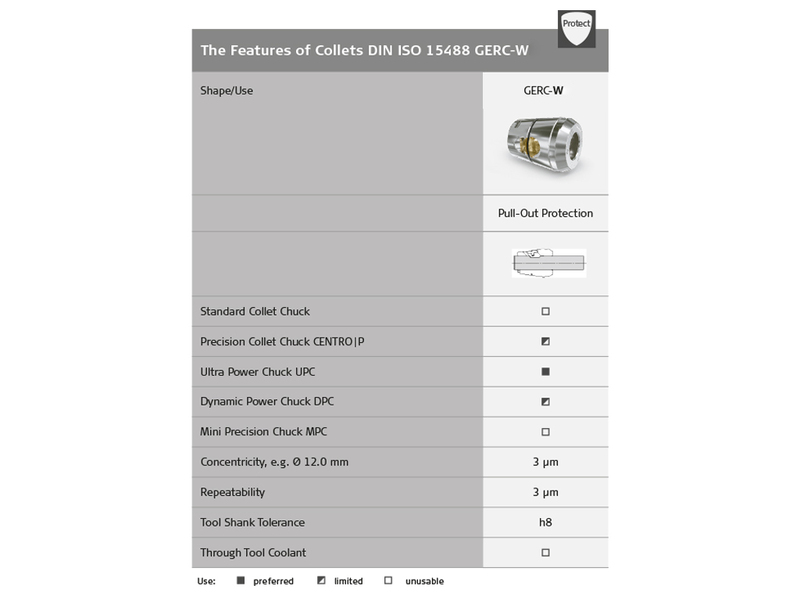 Better tool concentricity increases the service life of your tools. Your tool budget will thank you.